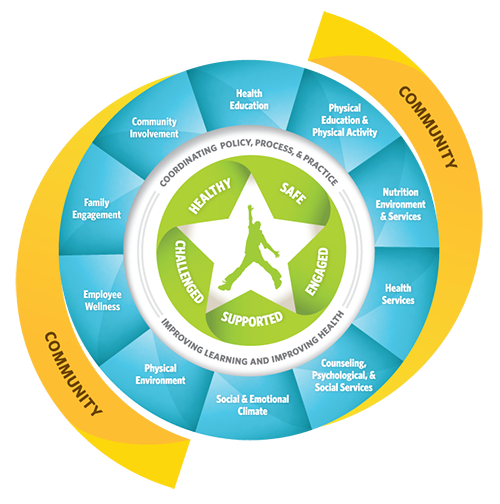 With experts available to provide resources and technical assistance to your district or school wellness team, Lorain County Public Health can help you kick-start the wellness process. Call 440-322-6367 and ask for the Health Promotion division or email healthed@loraincountyhealth.com to learn about the Whole School, Whole Community, Whole Child (WSCC) model we use. Lorain County Public Health Registered Sanitarians conduct school environment inspections twice per year in every local school building to ensure school environments are safe places where students can learn and play. Food safety inspections and education are another layer of our collaborative relationship with schools. Healthy eating is an important component of school health, as many children will eat two meals at school each day. School nutrition professionals are on the front lines of helping Lorain County’s children develop healthy eating habits, such as eating fruits and vegetables. Increased fruit and vegetable intake may assist in healthy weight management when high-calorie foods are replaced by fruits and vegetables. Vision and hearing are key components in a child's learning process. Lorain County Public Health school nurses conduct vision and hearing screenings to identify vision and hearing deficits. and Children with noted deficits are referred for further evaluation and resources are made available to parents as needed. Dental health is important, and protecting your child’s teeth is a first step to keeping their teeth and mouth healthy for a lifetime. In fact, children who have tooth decay miss an average of 12 days of school every year, and have lower grades than children with good dental health. The school nurse can assist the school and parents with resources regarding dental care and in-school dental programs. Vaccinations protect students, their family and the community from vaccine preventable diseases. Lorain County Public Health school nurses review vaccine records to make sure students are up to date on recommended vaccines and refer students for missing vaccines if needed. LCPH can provide missing vaccines to students. LCPH school nurses work with parents, physicians and school staff to ensure students chronic medical needs are managed accurately, safely and with little disruption to the student’s school day. Diabetes, food allergies, asthma and seizures are becoming common chronic illness within the school environment. These illnesses are managed by school nurses through medical, nursing and emergency planning. 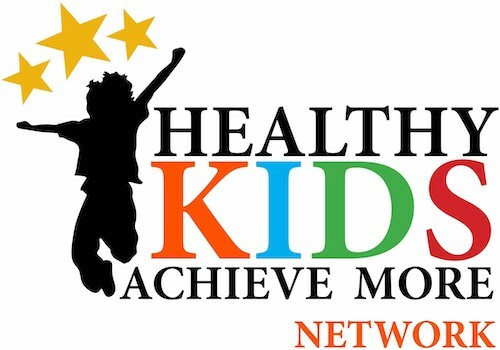 The Healthy Kids Achieve More Network (HKAMN) is the one-stop shop for Lorain County school districts to access resources to address health and learning of school-aged children. HKAMN recognizes that health and education affects individuals, society, and the economy and, as such, must work together whenever possible. Schools are one of the most efficient systems for reaching children and youth to provide health services and programs, as approximately 95% of all U.S. children and youth attend school. At the same time, integrating health services and programs more deeply into the day-to-day life of schools and students represents an untapped tool for raising academic achievement and improving learning. HKAMN is a group of school staff, community members, and agencies working together to increase the health knowledge, attitudes, and skills of Lorain County students in an effort to increase positive health behaviors and improve educational and social outcomes.Through a multi-agency collaboration, HKAMN has invested over $6.3 million to support positive school environments between 2012 and 2017. To learn more about HKAMN or to get involved, call 440-322-6367 and ask to speak to someone in the Health Promotion & Chronic Disease Prevention division at Lorain County Public Health.